I take multi vitamins when ever I can remember to help my body get the necessary vitamins that it needs. I like to use Costco's Kirkland brand multi vitamins because I feel it has more vitamins in it than the leading national brands and also I like the fact it has iron in it ( I have anemia so I have to take vitamins with iron ). I will say what I hate about taking vitamins is the size and taste. The size is just way too big to swallow and the taste is awful, I have to drink something sweet to help mask the taste. Looking good and feeling great has never been this delicious! Nature's Bounty® Hair, Skin & Nails Gummies contains just the right balance of nutrients to support lustrous hair, healthy nails and vibrant skin, all in a delicious strawberry flavored gummy. Nature's Bounty® Hair, Skin & Nails Gummies provides you with the vital nutrients your body needs to support your natural beauty from within. Vitamin E and Vitamin C are antioxidants. Vitamin E contributes to skin health, and Vitamin C is involved in collagen production and formation, which forms the basis for vibrant skin. Biotin helps to maintain healthy hair and supports healthy nails. Other Ingredients- Corn Syrup, Sugar, Dicalcium Phosphate, Grape Juice, Natural Strawberry Flavor, Black Carrot Juice Color Concentrate, Maltodextrin, Fractionated Coconut Oil (Contains one or more of the following: Carnauba Wax, Beeswax), Silica. No Artificial Flavor, No Milk, No Lactose, No Soy, No Gluten, No Wheat, No Yeast, No Fish, and Sodium Free. *Record Scratch* Umm.....did I read in the ingredients Corn Syrup and Sugar? What is up with these companies putting unhealthy stuff in products that's suppose to boost your health? I understand they're trying to make it more enjoyable, but come on! I still gave the gummies vitamins a try anyway even those I'm displeased with some of the ingredients. The taste is sweet like strawberry gummy candy and it was much easier to take than swallowing a vitamin pill. Just pop two in your mouth a day and then chew- no water needed. I took two after eating my dinner every night and it didn't upset my stomach. Since eating these vitamin gummies for several weeks I didn't notice a difference with my hair but I did notice stronger, healthier nails. Another thing I noticed was several gigantic zits the size of mountains on my face! GROSS! I believe that the biotin is the reason for my bad breakouts because I pretty much have smooth skin with a occasional acne. Now I'm a walking crater face for awhile until my acne goes away. I had to stop using the vitamins and returned to using my old faithful, Costco's Kirkland multi vitamins. 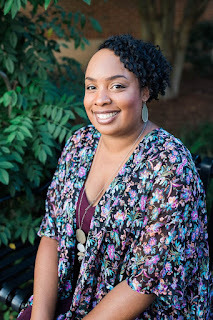 Nature's Bounty Hair, Skin & Nails Gummies with Biotin Worth a Try? I'm personally going to have to pass on these vitamins. My body doesn't agree with biotin and I don't like the fact it has corn syrup and sugar in it. If you don't mind about the ingredients and you don't have a bad reaction to biotin then you would like these. Check out other peoples' reviews here. 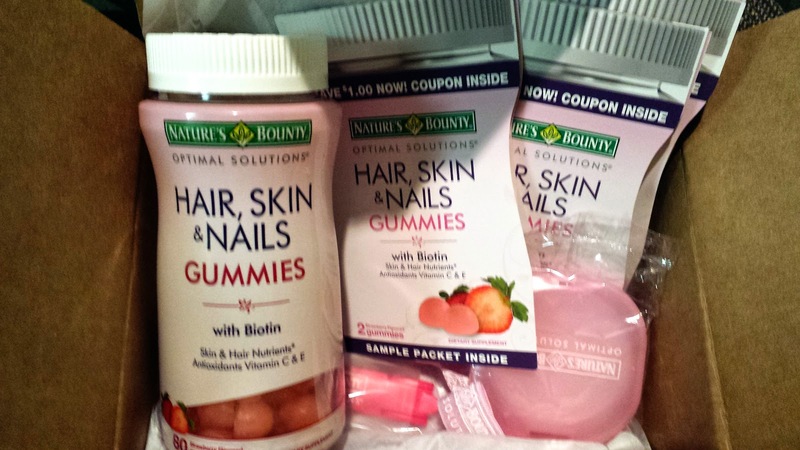 Have you tried Nature's Bounty Hair, Skin & Nails Gummies with Biotin? Oh I need some help with my nails so I will be looking for these. And I agree, c'mon guys, ditch the sugar please! Yes please do ditch the sugar! I tried it hoping it would help my hair grow. Not sure if it helped my hair but it ruined my nails. I used to have very strong nails that grew so fast now there so brittle and they dont grow at all. Sounds like you need to ditch these vitamins Airiana. I agree with the nail issue. My hair seems to be a little better but my nails are awful. They don't grow and are very brittle. After consuming a large bottle of this product, I contacted the company asking for a full refund. Have not had a response yet. I do not recommend this product at all!! I'm glad you mention that Hilda because the kids gummies vitamins were causing my daughters to have cavities and their dentist told us to stop using them. Now that's not good, it was bad enough when we were teenagers! I know huh Antionette! I'm too old to be walking around with huge zits on my face! Yes the vitamins taste great but with sugar being in them I'm disappointed. Also gummies vitamins for kids is leading to cavities, so make sure Scotty is brushing is teeth after taking them Courtney. OMG Bubble Guppies! My youngest daughter use to love that show! Now I got the song in my head (Bubble Bubble Bubble, Guppie Guppie Guppie)! Your hard work should pay off Courtney. Yeah always read the ingredients of anything your eat. Uggh- sugar in vitamins. What's worse is Flintstones Vitamins which I always trusted for years has aspartame in them! That's even worse than sugar and it's for kids! It's a damn shame. Vitamins I do like are Nutri Stars Rainbow Light. They are made from real fruit and veggies- totally natural! I had to stop buying Flintstones vitamins for that very reason! It is such a shame that these companies keeps adding ingredients in products that is suppose to improve your health. I'll check out Nutri Stars Rainbow Light because my daughters are in need of some good vitamins. Thanks Christen! Sugar? But why lol...I use Smarty Pants gummies O_O...yep too much biotin breaks me out too. I really wish I could take biotin pills because I've heard good things about it but oh well I'll just stick with my multi- vitamins. Loudia,,,, Thank you for keeping it real! I am currently reviewing these as well. I am unsure completely how I feel about them. I DO love the taste I will say. Yeah Susie those vitamins aren't very good. Pretty much it is like eating candy. In my opinion, these gummies are the best. I just finished my first bottle and I'm seeing tremendous improvements in my hair skin and nails. Considering the fact that I have a few cavities that are painful when I eat sugar, these gummies cause no effect in the horrible pains I get from sugar. They're pretty much my distraction from eating any other sweets. My nails were so unhealthy before, they'd break off or peal before they could grow out. Now my nails look healthier than ever. My skin is smoother, and my hair has grown back do to hair bleach damage. I cut off the fried ends and my hair looks great. I HIGHLY RECOMMEND THESE. Don't let the fact that it has sugar make you hesitant about getting them. I always wait for Kroger to have their buy one get one free deal on them. These vitamins works well for my nails but nothing else. I just can't do something that is suppose to be good for your health but includes unhealthy ingredients in it. It defeats the purpose. But I'm happy that these vitamins worked well for you Tylre. I love the vitamins myself I have healthier nails,skin and hair.Chewing two vitamins once a day giving you cavities, really...you have to drink lots of water when you mess with biotin to keep from getting pimples or it will attack you face.To fight against cavities I brush with coconut oil and baking soda with a little peppermint oil and tea tree oil because tee tree oil is an anti bacterial. I'm unsure Ebony you will have to consult with your doctor. where can I get me some I need to try these I'm losing my hair and nails like crazy!!! You can find them in grocery stores and also Amazon sells them. Walgreen's have them now Bogo free online and in store. Hey Michelle, I think you should consult with your doctor before taking these vitamins. Why did i not realize they had sugar...dang! My nails are growing back well but damnit now I'm starting to break out agan. I've taken vitamins before with a lot of biotin but I think I need to step up my water too! Could be the sugar in them breaking you out, yeah step up your water. These gummies are doing wonders for my hair but not so much for my nails and skin. Stopping immediately! Now I got to find an alternative for hair growth and getting my skin back more clearer. So unfortunate about these vitamins. I hope you find something better Chelly. So when you take the challenge for 30 days are they going to send the vitamins to your mail box or what? Also are they going to send only one ? No they are not going to send you a box, they want you to buy their vitamins and take them for 30 days for you to see any improvement with your skin, nails, and hair. Try them out and see what you think Sonia. I love the taste compared to other gummies. Haven't seen much improvement on hair length. As for skin I haven't been looking at my skin. Can males take this product? I believe they can Marrenae. I don't remember the bottle saying it's just for women. I've taken the gummies since 8/25/16 and now I have hair breakage, zits (I haven't had for years), and see no changes with my nails... I'm going to try them for another few days, but if the zits persist - I'm done. The hair breakage is horrible enough. These vitamins are really good. Since there is biotin 2500 mcg you have to drink a lot of water to maintain and approve your skin. My nails grew longer and stronger and my hair has gotten thicker and I've notice some growth. Since these gummie don't include all of you multivitamins that your body needs. You to take a complete multivitamin once a day for better results. Don't forget to drink plenty of water. Luckily sugar doesn't break out my skin! especially due to the amount of water i'm drinking! I'm beginning my journey on taking these gummies and i cant wait for the results! I've had almost your exact experience with this product which I've only been trying for a few weeks. Nails seem quite a bit better, can't really tell any difference with hair, but oh my: my face is a mess! I, too, am going to have to quit taking them and try something else to help my nails and hair. Taking biotin with anything less than 64 ounces of water per day will cause breakouts. Biotin also clears skin causing a large breakout while your pores clear which subsides to reveal clear skin. Two things most don’t know about biotin. Also, liquid biotin causes less acne. Taking biotin with anything less than 64 ounces of water per day will cause breakouts. Additionally, biotin improves skin causing a large breakout in the beginning and as your pores push out the impurities, the acne will heal revealing better skin and clearer pores. Also, liquid biotin has better skin results for those who are sensitive and likely do not drink enough water.